The San Francisco Gay Men's Chorus (or SFGMC) was the world's first openly gay-identified choral organization. The SFGMC made its official debut on December 20, 1978, though it first appeared informally singing a memorial hymn on the steps of the San Francisco City Hall in late November 1978, the evening Mayor George Moscone and Supervisor Harvey Milk were assassinated. By 1982, choruses were established in many major cities across the US and the LGBT choral movement began to formalize. By 1982, choruses were established in many major cities across the US and the LGBT choral movement began to formalize. 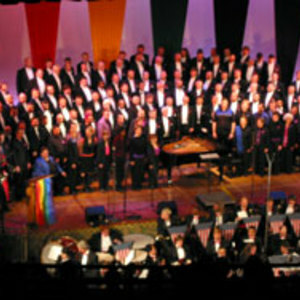 The Gay and Lesbian Association of Choruses (or GALA Choruses) was created, with SFGMC as one of its founders. Needing relevant music to perform, SFGMC commissioned many important new works, developing new repertoire for men's choruses as well as for the gay and allied choral communities. In 1986, SFGMC commissioned Invocation and Dance by David Conte, one of the world's first compositions in response to AIDS. NakedMan, a song suite by Philip Littell and Robert Seeley, was commissioned by SFGMC in 1996. It became one of the most important works in gay choral literature and is still widely performed today. AIDS hit the chorus hard ? SFGMC lost over 250 members ? yet the organization survived and thrived with sustained passion for its mission. Since 1978, more than 1000 SFGMC members have served proudly as goodwill ambassadors, promoting awareness and understanding of the gay, lesbian, bisexual and transgender (or LGBT) community through music and the camaraderie of performance.